When me and Ryan finally decided what to do Saturday night, we went back to his place to change and catch our breath before heading up on the 57 towards Rowland Heights. This is going back to our roots both in terms of video gaming and family as I had family who lived here and I would stay in this area when I visited Los Angeles. 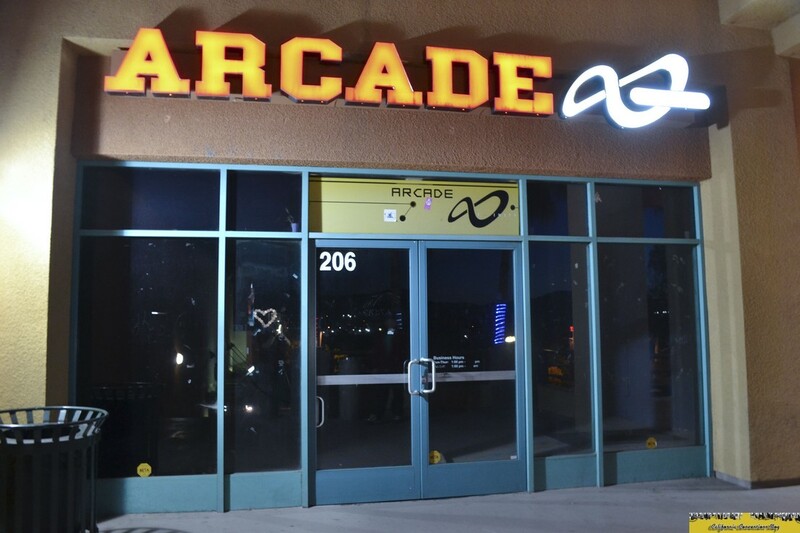 The first stop was the old site of Arcade Infinity. We knew that Arcade Infinity was in trouble last year at Anime Expo and had plans to shut down sometime after July. They officially closed their doors in February 2011, three months before we would visit the site. There are some relics though that have been left on the premise. 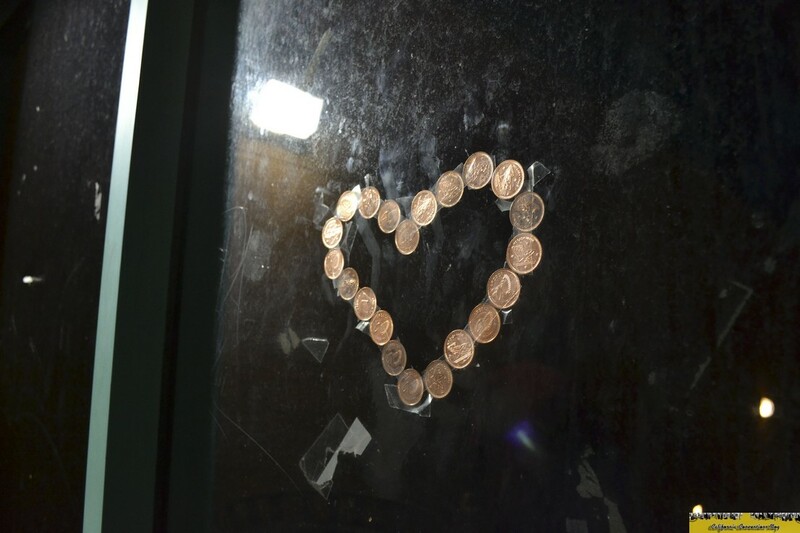 On the windows contain a heart made out of Arcade Infinity tokens as well as “RIPs” written in the dust on the windows. 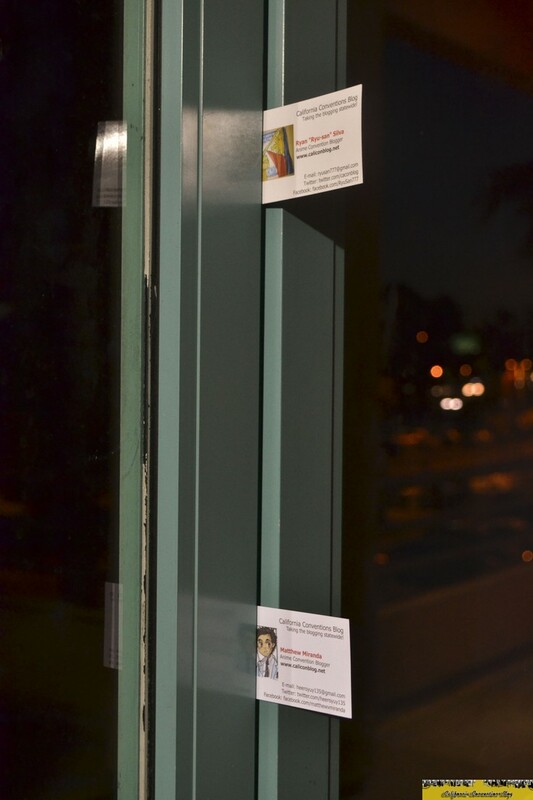 We put our business cards as a tribute to this fine establishment and Ryan wrote his own RIP on the windows. Our second stop was Speed Zone, an outdoor go-kart, mini golf, and indoor arcade facilities. What separates Speed Zone from other go-kart places in the region is their wide-range of activities from simple go-karts to real-life Formula 1 cars to dragsters. We watched a bit from the sidelines before heading off to our final destination. Down the street Puente Hills Mall was a bowling alley and arcade called Round 1, nearly a mile and a half away from Arcade Infinity. Many thought that Round 1 would take over as the arcade of choice in the area, and given the fact that they are a Japanese company it would be state of the art. As we walked towards the arcade area, games that I've never seen before starting with a Guitar Freaks with a five-button layout like Guitar Hero or Rock Band, and Dance Dance Revolution X2. Then as we walked towards the back of the arcade section, we totally freaked out. We saw Initial D Ver. 6 AA. IMPORTED FROM JAPAN. We also saw what looked like brand-new Maximum Tune 3 DX+ machines with left-handed shifting. IMPORTED FROM JAPAN. Then over at the fighting games section, they had an arcade version of Tekken 6 but this arcade was also running Super Street Fighter 4 Arcade Edition, which a) hasn't come out to the States in the form of DLC and retail package to the console versions and b) Round 1 has had a week after its release. Our first thing was to find out if Initial D Ver. 6 AA had any cards and if they had any in stock. Finds out the owner of Round 1 doesn't want to buy any Ver. 6 cards EVER. Since the machines were basically brand-new, the cards haven't arrived yet and would arrive months after out visit. Despite that though, we stayed there and we tried out some new and classic games.We did have a hard time adjusting to left-handed shifting on 3DX+ and the competition is much stiffer than anything we've faced in my playing career but in the end I squeezed out a win and made some new friends. In the end, we lost an old place and gained a state-of-the-art facility in return. From one era to next, if I want to think about it that way.